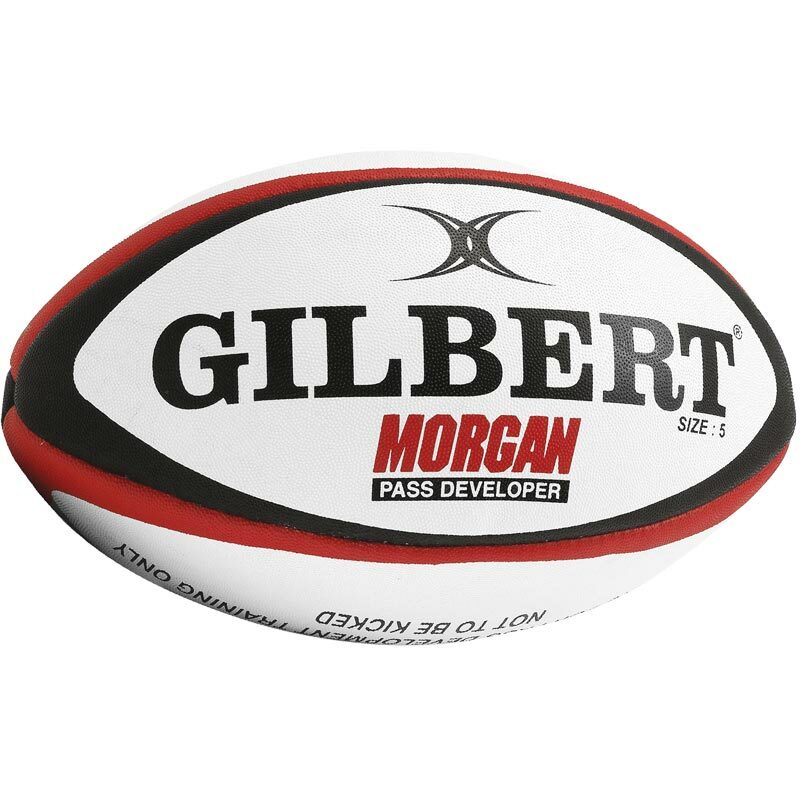 The Gilbert ® Morgan Pass Developer Rugby Ball is an overweight ball to develop wrist strength and passing distance. Available in sizes 5 and 4. 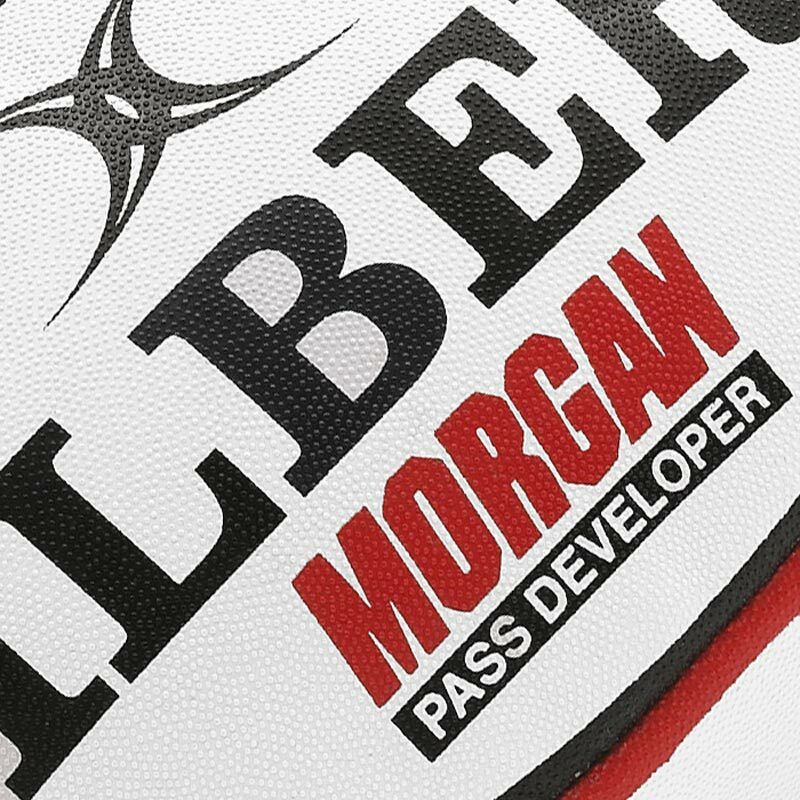 The Morgan Pass Developer is intended for rugby training only, and only for handling drills. This ball should not be kicked. The ball turned up in the post within a matter of a couple of days. A good quality ball in its own right, and, obviously, heavy. In the hands of reasonably competent players 10 minutes of drills with this ball works wonders in terms of taking their passing and catching to the next level. Would not recommend it's use with novice or undeveloped young players. Helpfully has the words "Do not kick" boldly set out on its side. I'd heard about these balls, but had an open mind as to how well it would work. My son (under 15's) has been using this for about 3 weeks, and his pass distance and accuracy have improved so much more with this ball than with any other training method we've used. I would happily recommend this product to anyone, though the weight may be a little too much for very young players.